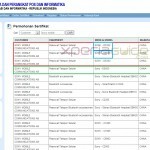 A few days back we saw a bit info regarding Sony’s 2014 models viz. 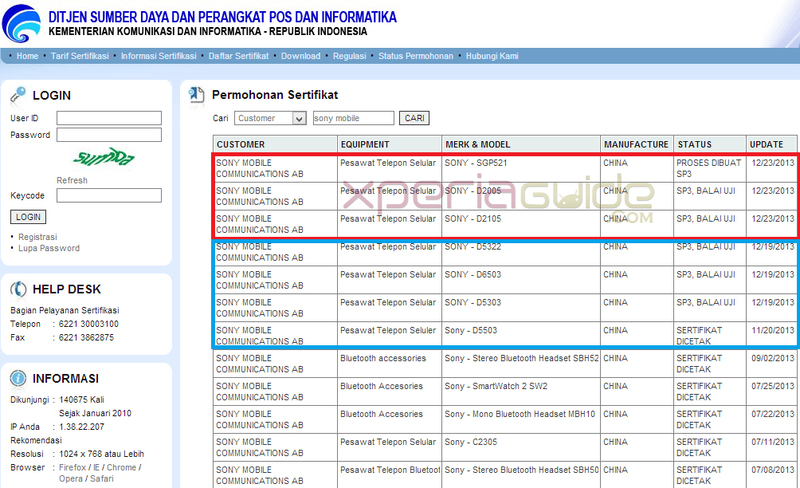 Sony D6503, D5322, D5303 and D5503 on Indonesian Postel website. Sony D5503 is considered as the global version of Xperia Z1 f ( released in Japan only for the time being ). 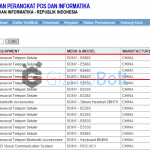 Just now we spotted a few more Sony 2014 models listed on same legitimate Indonesian Postel source. 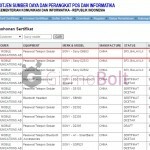 New Sony 2014 Models Sony SGP521, D2005 and D2105 are spotted at Indonesian Postel website exclusively besides Sony D6503, D5322, D5303 and D5503. Sony SGP521 seems to be the new Sony tablet for year 2014. 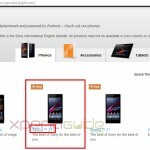 It is being seen many times that Sony is developing a Wi-Fi version of Xperia Z Ultra so is is that ? Well let it be the question for later. 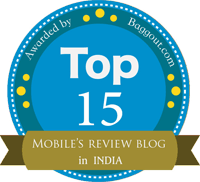 Sony D2105 from above list goes well with year 2013 model Xperia L C2105 version. So is the the successor of Xperia L ? Nothing can be clearly said on that also. Sony SPG521 goes well with year 2013 Xperia Tablet Z SPG321. 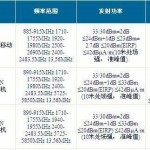 Above listed new Sony 2014 models clearly states that many new models are cooking up in Sony’s camp now. Sony has already mentioned that they are having a press conference on 6 Jan 2014 at CES 2014, hope to see some new models either at CEs 2014 or MWC2014 event. 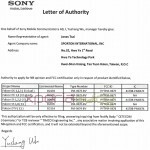 Sony Magnetic Charging Dock DK36 Leaked in Sony Official User Guide – Is it for Xperia Z2 ? One of these devices, namely the Sony D2105, might be launched in 2014 as the successor of Xperia L, which arrived on shelves this year with model number C2105 attached to it. 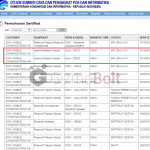 The SPG521 is expected to hit the market as a new tablet PC from the company, though confirmation on the matter has yet to emerge.